Did you know the first computer program was developed by a woman? Or that a woman coined the term “debugging”? 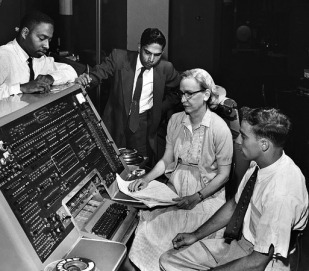 Women have been creating amazing things in the world of computer science throughout history, but often their contributions have gone unnoticed. In light of this, we’re celebrating the amazing achievements of a few of them today. Who do you admire? Add them in the comments! ps: this list is in no particular order. In 1946 six brilliant young women programmed the first all-electronic, programmable computer, the ENIAC, a project run by the U.S. Army in Philadelphia as part of a secret World War II project. They learned to program without programming languages or tools (because there weren’t any so, you know, totally easy). When they were done, ENIAC ran a ballistics trajectory—a differential calculus equation—in seconds! The daughter of famed poet Lord Byron, Augusta Ada Byron, Countess of Lovelace—better known as “Ada Lovelace”—was born in London on December 10, 1815. Ada showed her gift for mathematics at an early age. 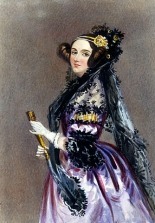 She translated an article on an invention by Charles Babbage, and added her own comments. In between 1842 and 1843 she left an elaborate set of notes on a document she was translating. While they were simply called“Notes”what was in them as an algorithm designed to be carried out by a machine – or the first computer programme. 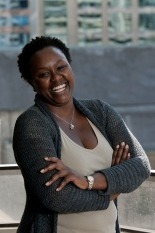 Dorcas Muthoni is founder and Chief Executive Officer of Openworld Ltd, a specialist computer software company she established in Kenya when she was just 24 years old (!!). Today, Openworld is a leading e-Government and business software service and helps deliver of some of the most widely used Web and Cloud applications in Africa. 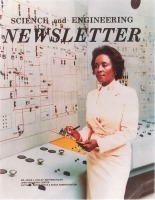 Easley’s career at NASA spanned 34 years, where she developed computer programs related to alternative energy solutions, including wind and solar power, energy conversion, and vehicular batteries. Kanchana Kanchanasut is a professor of Computer Science at its School of Engineering and Technology. 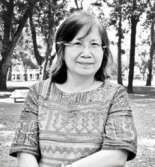 She set up the first experimental domestic research and education network in her nation in 1988, connecting five universities in Thailand with dial-up connections. She ’s also the one behind registering the .TH domain name and has been its admin since 1988. Pretty awesome huh? Madam Hu led the National Computing and Networking Facility of China (NCFC) project team that brought the Internet to mainland China. 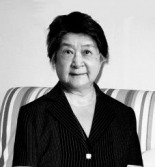 In 1994, as Vice President of the Chinese Academy of Sciences, she visited the National Science Foundation for talks that led to a consensus to set up the first direct TCP/IP connection in China. In 1997, she founded the China Internet Network Information Center and has chaired its Steering Committee for over 10 years. Wow! 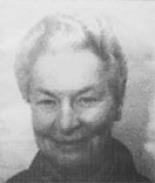 Sister Mary Kenneth Keller was an absolute boss and visionary: she was the first woman to be awarded a Ph.D in computer science and assisted with the development of BASIC computer language at Dartmouth. Before Sister Mary, Dartmouth was considered a ‘man only’place of study and work. 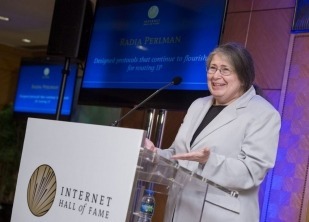 Radia Perlman has often been called the ‘mother of the internet’ because of her contribution to the spanning-tree protocol (STP). STP allows two networks to join together and act as one, and it was a fundamental step along the way from single, disconnected computers to the globally-interconnected system we know today. 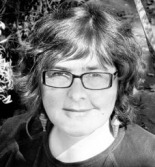 Anriette Esterhuysen is is the executive director of the Association for Progressive Communications (APC) and works with ICTs to fight injustice and bring positive change in society. She started her career as a librarian, e-mail and the Internet in the early days inspired her future work. Her work is focused on promoting affordable Internet access through advocating for dynamic approaches to frequency regulation and protecting the free flow of information. Nominate a Woman Or Girl for an EqualsInTech Award!